You could probably do this with regular mozzarella, but then you’ll miss the creamy goodness that burrata provides. If you’ve never had burrata before – it’s a fresh mozzerella with a mix of cream and mozzerella in the middle. It’s like what Maya says, “When you know better, you do better.” So now that you know better… try some burrata. This clean eating dish tastes decadent, but provides a perfect combination of protein, good carbs and fresh produce. 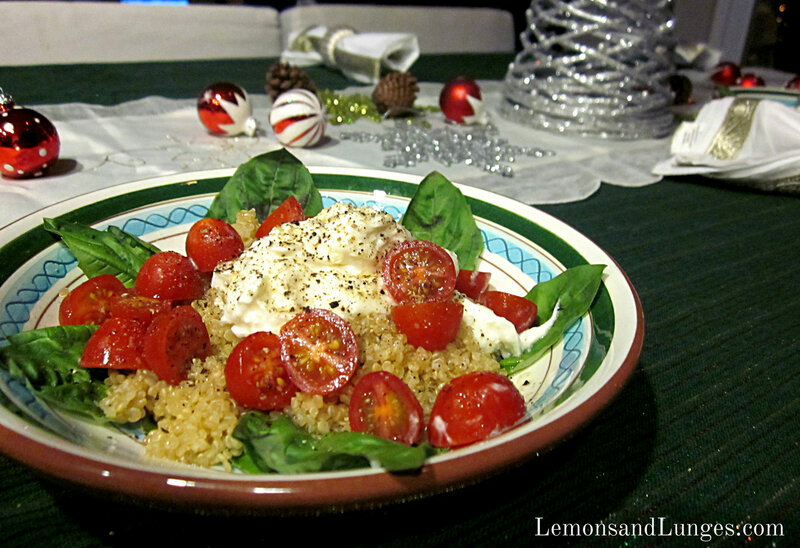 To assemble: Place basil leaves at the bottom of bowl, top with cooked quinoa, then top with ½ burrata ball, then tomatoes, sprinkle with olive oil, salt and pepper. 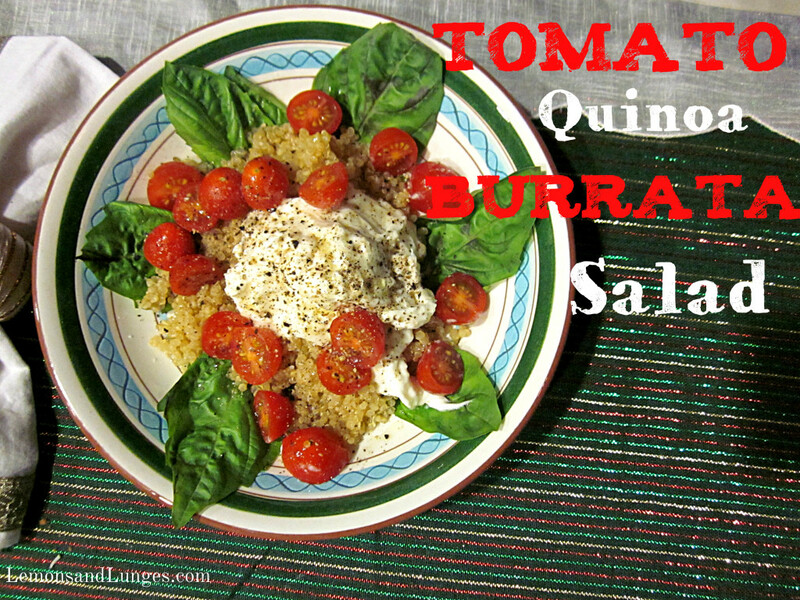 Save other half of burrata ball for another salad. Place in a sealed, dry container. Burrata will keep (outside of liquid) for 24 hours. where do you buy burrata? i want to make this one! I’ve bought burrata at Traders and Venissimo! It’s available at Trader Joes’s, Von’s, Whole Foods – it’s pretty readily available now. I was pumped with I spotted it at Von’s. We got ours from WF last night though.